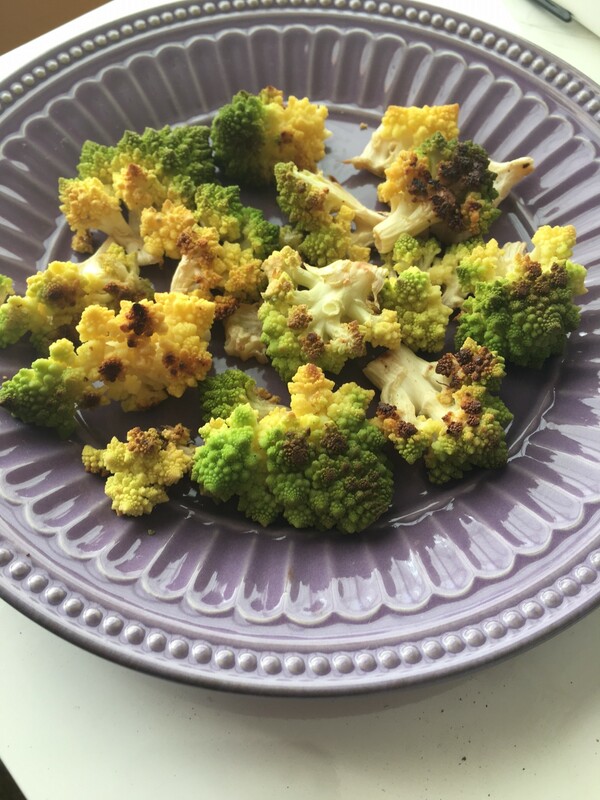 Cut off Romanesco florets (as you would broccoli or cauliflower) and place in a medium size bowl. Trim the thick skin off the base of the stem then chop stem into small pieces to match the florets. Toss with olive oil, salt, pepper.